There are many ways to approach a study of the last twenty-five years of imperial Russia and the reigns of Alexander III and Nicholas II. What I am going to do is offer some remarks by looking at two of the main struggles that took place between competing visions of Russia's future, and I am going to personify those struggles in terms of first Konstantin Pobedonostsev (1827-1907) versus Sergei Witte (1849-1915) and then followed by Evno Azef (1869-1918) versus Petr Stolypin (1862-1911). These were men and issues that determined Russia's fate. I also have some separate notes on Aleksandr III and Nikolai II. These two men were similar is some very striking ways. Both kind of just drifted out of official state offices after the 1905 Revolution which essentially challenged both of their policies. Each experienced a reversal of their early ideological orientations; Witte from a believer in Slavophile ideas to a convinced modernizer along European terms; Pobedonostsev from a scholarly and legal career into a champion of conservative politics. In terms of official rank, these were probably two of the most important statesmen of imperial Russia. 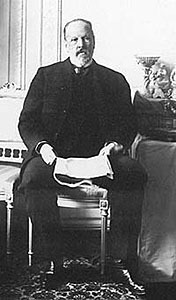 Pobedonostsev was Ober Procurator of the Holy Synod from 1880 to 1905, which meant that he was the chief state official in charge of all Russian Orthodox Church affairs. He was also tutor to both Alexander III and Nicholas II. Witte was Minister of Finance from 1892 to 1903, Chair of the Committee of Ministers from 1903 to 1905 and then Prime Minister from 1905 to 1906. Their visions for Russia could not have been more different than night and day. Pobedonostsev, nicknamed the "grey eminence," was a through and through, devout conservative and convinced supporter of "autocracy, orthodoxy and nationality " (Official Nationality). Not unusual for nineteenth-century conservatives, he felt that man was inherently sinful and needed the strong reigns of tsar and church to keep order. In his book, Reflections of a Russian statesmen, he denounced almost everything there was about constitutional or parliamentary systems, natural rights or freedoms and democracy. Pobedonostsev felt that the people needed to maintain their respect for the traditional institutions of Russia. Any attempt to reform society was evil; one must, above all, preserve the autocracy intact and support the national church. Pobedonostsev exercised considerable influence on the policies of Alexander III (a bit less so on Nicholas II), for example, by encouraging an official policy of Russification directed against the minority populations of the empire. He also worked to bring primary education under control of the church. He has usually been considered the author of the tsar's "senseless dreams" speech of 1895 when Nicholas II stated that any persons thinking about an enlarged role for zemstvos in the government, or even an expanded degree of public representation, were just having "senseless dreams." Pobedonostsev also was influential in supporting programs of religious persecution largely directed against Jews. It is hard to determine just how much influence Pobedonostsev actually ever wielded, but it had decreased substantially by the time of the Russo-Japanese War and then the 1905 Revolution. But the ideology, which he symbolized, still found a lot of support in Russia. Witte made his name working on the railroad, figuratively speaking. 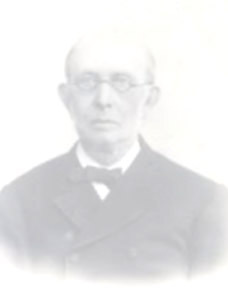 He actually did work in a number of railroad posts until in 1887 he became director of the state railways in the ministry of finance (later promoted to Minister of Finance). There he developed the "Witte system," a program of heavy industrialization, focusing on railway construction--of course--that was designed to allow Russia to catch up with the more advanced western countries in a decade or so and also allow Russian exports to reach markets in the Near and Far East. Witte was the first to imagine (and then carry out) the use of massive state intervention in the economy to develop a national economy. Above all, he wanted to bring Russia up to European living standards. Under Witte, Russia did experience sustained economic growth rates that improved living standards for the Russian people. He was never able to undertake an agrarian reform that would have complemented what he had undertaken in industry and finance (such as the gold standard 1897). Witte's focus on industry, his success in negotiating an end to the Russo-Japanese War and his work in crafting an end to the disturbances of 1905 and the creation of a semi-parliamentary regime in Russia made Witte's rivals incredibly jealous, including the tsar, and he was dismissed from power. But his vision was one of Russia as a modernized country equal to any of its contemporaries in Europe. So, round one, in the struggle to define Russia's direction was between conservative stability (maintain Russia's natural institutions) and massive change (introduce European institutions). The conclusion of this struggle played out between 1904 and 1905, but the outcome pleased no one and solved none of Russia's essential problems. Witte had to put on hold his ideas of agrarian reform, and though some European political and economic forms appeared in Russia, they were never really embraced by enough of the Russian population. Conservative forces struggled to maintain order, but that was not going to work either as too many changes had occurred; there were now large, industrial cities with a working class and also a middle class. That could not be fit into the conservative vision of Russia, but that was not going to disappear. Russia was like a car being driven down a road by a drunken driver, careening down the road, veering wildly from one lane to the other, smashing off guard rails on either side, just narrowly missing trees and oncoming traffic. After 1905, the struggle shifted onto new ground; here symbolized by the terrorist Azef and the Russian prime minister Stolypin. Not many similarities here. But Azef symbolizes the clear turn by Russian radicals to terror as an instrument to achieve revolution, and the use of terror reached unbelievable dimensions between 1906-1911. True, there were some lulls in its intensity, but then another spate of assassinations would occur. Radicals were no longer confident that the government or peaceful/legal means could move Russia in the direction of reform. These revolutionaries now advocated a radical and complete overthrow of much of the existing order in Russia and the realization of a socialist future for the country. The terrorists disdained any governmental half-measures and wanted Russia to move forward fast to that radical future. rose slowly through government ranks until he was appointed prime minister after the First Duma was dissolved in April 1906. Ok, so what was Stolypin's vision of Russia. Part 1 was to restore and then maintain order in the face of public disorder and assassinations. He instituted military, field court martials to deal with the terror; trial one day, hanging the next. Thousands died, and the gallows were popularly called "Stolypin neckties." But Stolypin was not going to give into terror. Part 2 was to get the parliamentary institutions, i.e., the Duma, working in a partnership with the government. To that end, he "masterminded" the alleged coup d'état of 3 June 1907 when the tsar dissolved the Second Duma and then issued a new electoral law, which effectively disenfranchised most of the Russian population. This provided a more balanced (read "conservative") Duma that was supposed to cooperate in Stolypin's reform process. (The change in the electoral law was illegal; that is why it is often labeled a coup.) Part 3 was a massive, and far-ranging land reform carried out by imperial decree (Later the Duma finally approved.). The reform intended to break up the village land commune, a system in which the commune owned the land and parceled out strips of land to individual families to farm (extraordinarily inefficient). Individual peasants would be able to withdraw from the commune and consolidate their holdings into a single, compact farm. Stolypin hoped that this would increase agricultural productivity and also give peasants a better stake in the economy. Funds were to be provided to peasants, and peasants were also encouraged to migrate to Siberia in search of better land. This was popularly called Stolypin's "Wager on the Strong," but it was not only aimed at the "strong" and wealthy. Finally, there is some evidence that Stolypin was preparing further administrative and organizational reforms before his untimely death. 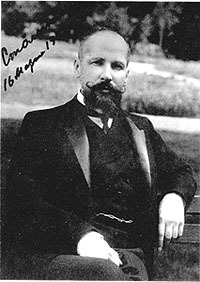 In some respects, Stolypin symbolizes the continued effort by reform-minded individuals to move Russia in the direction of Europe, i.e., to create a functioning parliamentary system (even though it was a bit on the conservative side), to create a yeoman-based agricultural system (that could also be considered conservative), to diminish the importance, power and prestige of the royal family. Stolypin, like Witte before him, aroused enormous jealousy on the part of his rivals (and they were everywhere; so many had problems with different aspects of hat Stolypin was doing). So who won round 2? After all, Stolypin himself was assassinated while attending the opera in Kiev in September 1911. Interesting that the assassin--Dmitrii Bogrov was himself a man who had been assigned to protect Stolypin--did not take aim at the tsar at the opera. Disturbances soon returned on a mass scale to Russia; the imperial family concentrated on Rasputin. A lecture by the late Professor Michael Boro Petrovich on the Industrialization of Russia is available on the web (also a lecture on the Jews of Russia). There are a number of websites with excellent photo exhibitions of Russia around the turn of the century: The Empire That Was Russia: The Prokudin-Gorskii Photographic Record Recreated, A Romanov Album, Russian Empire, 1895-1910: Photographs from stereoscopic negatives in the Keystone-Mast Collection, St. Petersburg, 1900: A Photographic Travelogue of the Capitol of Imperial Russia. Read an interesting account of Nicholas II as the new tsar, by E. Borges, "The New Czar and What We May Expect From Him from Harper's New Monthly Magazine, 91 (June 1895). A number of websites focus on a warm, fuzzy recollection of Nicholas and Alexandra: Last of the Czars, Nicholas and Alexandra - The Last Imperial Family of Tsarist Russia, The Real Tsaritsa by Madame Lily Dehn (1922 memoirs), The Life and Tragedy of Alexandra Feodorovna (unreliable memoirs by Baroness Sophie Buxhoeveden), Letters of the Tsar to the Tsaritsa, 1914-1917 (amazing letters, largely written in English). Russia invented the pogrom, the anti-Jewish riot. See Beyond the Pale: The History of Jews in Russia and then read A Proclamation Inciting a Pogrom of the Jews, Easter, 1903 and Korolenko Describes the Kishinev Pogrom of 1903.
www.alexanderpalace.org has a number of Russian history sources about life at the Russian court under the last tsar. Treasures of the Czars is an exhibition that was mounted in 1995 at the Florida International Museum in St. Petersburg, Florida. Russia 1870-1917 by Stephen Tonge, starts a bit earlier than the reign of Aleksandr III, but this is a good summary of events/developments in the last decades of imperial Russia. The Modernization of Russia, with a focus on the reforms of Witte.